When it comes to final exams, it is only natural for students to be worried. Some are worried simply because this is a natural reaction to exam time. However, others are worried because they are not confident about their exams and have fallen behind with their studies. Many are also unprepared for the exams, which can have a big impact on success. 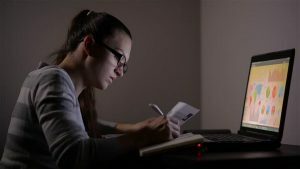 If you want to boost your chances of acing the finals, you need to make sure you are properly prepared, and this means a lot of advance planning and action. For most people, this means planning as soon as the dates for finals come around. There are various ways in which you can do this, and we will discuss some of the key ones in this article. So, what steps can help you to get prepared for your finals? Well, one of the things you have to do is make sure you are putting side enough time to study for your exams. This does not mean waiting until a week before and then spending both day and night cramming furiously. It means setting up a study timetable so you can dedicate enough time to each of the subjects you have to study, particularly those you are weaker at. Another thing you need to do is make sure you have up to date information on each of your subjects. If you have missed classes and notes, you need to find a way of getting access to them otherwise, you could find that there is a chunk of information that you know nothing about when the exam comes around. Using sites such as OneClass can help you to get the information you need so you can get yourself up to speed in time for the finals. Many students fail to realize how their lifestyle can impact their educational success. Everything from the amount of sleep you get through to your diet can have an impact on how well you do when it comes to your studies. Your social life can also have an impact, as this will determine how much time you have to study and how well you can focus in class. If you go out on the town every night, you will end up missing classes or being unable to focus in class. This will then have a direct negative impact on your studies. Make sure you get plenty of proper sleep rather than trying to cram and study overnight and try to curb your social life and drinking in the runup to exams. In addition, make sure you are eating properly and eating healthy meals, as this will also have an impact on your concentration and energy levels. By following these tips, you will find it easier to get down to studying and prepare yourself for your finals. You can then look forward to educational success and the chance to get into a great job with good pay.